TAYers its time again for some Mass Effect 3 multiplayer fun! Join us tonight on the platform of your choice. I'll be your Xbox 360 host tonight! Barkspawn will be in charge for all you PlayStation 3 people! We will be starting around 9:00 PM EST. My gamertag is Brett1157 so add me if you would like to join us on 360. 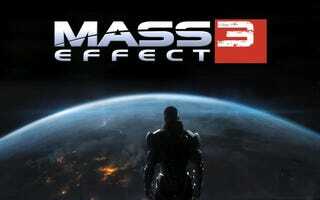 For you PS3 folks, Barkspawn will be hosting Mass Effect 3 shenanigans! Her PSN ID is theBeardedYouth if you would like to join. If you want to play on PC, we still need a host for that. Hit up the gaming ID spreadsheet here and be sure to nominate games for September here!